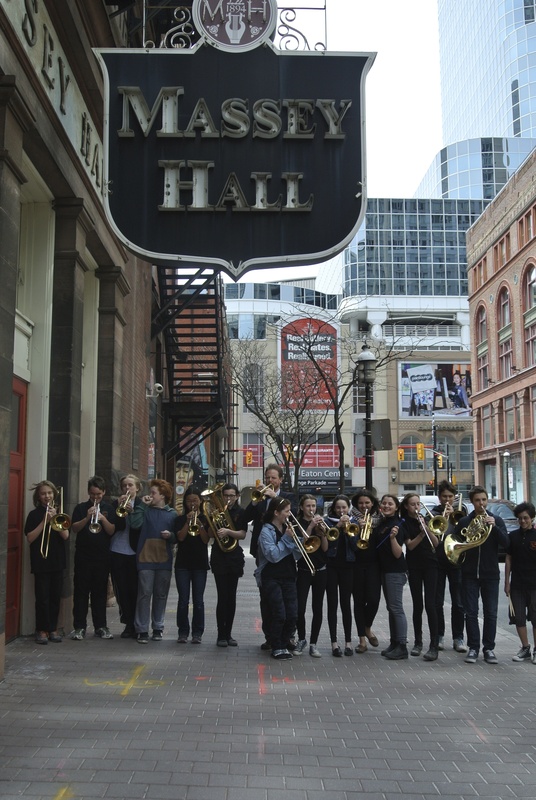 Runnymede Junior and Senior Public School had over 30 students audition for and get invited to participate in the 128th Spring Festival Concert at Massey Hall this year. This concert series has been running since before the First World War, and has a long and proud tradition of excellent music making! Our students participated in four ensembles this year: The All-City Strings, All-City Band, All-City Orchestra and Runnymede Brass Ensembles. Runnymede has long participated in and been a supporter of this prestigious event at Massey Hall. It is always an honour and privilege to perform on the stage that has played host to everyone from the Toronto Symphony Orchestra to Charlie Parker, Bob Dylan and world heavyweight champion, Jack Dempsey as referee. Your fundraising dollars help to buy brass and string instruments that support the music program at Runnymede.